Francesca served this country in the Air Force for nine years. Her service included assignments in Afghanistan and right here at McConnell AFB. Now a full-time student at WSU majoring in Communications and Electronic Media. Francesca actively participates in the Student Veteran Organization and Peer Advisors for Veteran Education. Recently she worked to raise funds for hurricane victims as well as military families. Francesca strives to bring attention to issues plaguing the veteran’s community. Dean, a combat veteran, served this country in the Army for 10 years. His service included assignments in Iraq, South Korea, and Fort Riley, KS. Dean now serves as a Freedom of Information Act Officer for the Wichita VA. 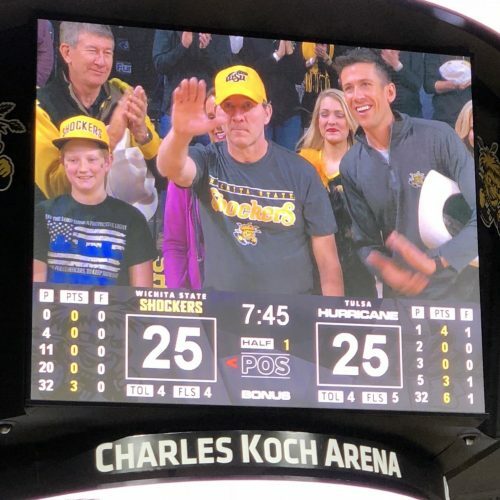 Recently, Dean completed a suicide awareness 22-hour walk/run fundraiser to raise money for veterans in the Wichita community. 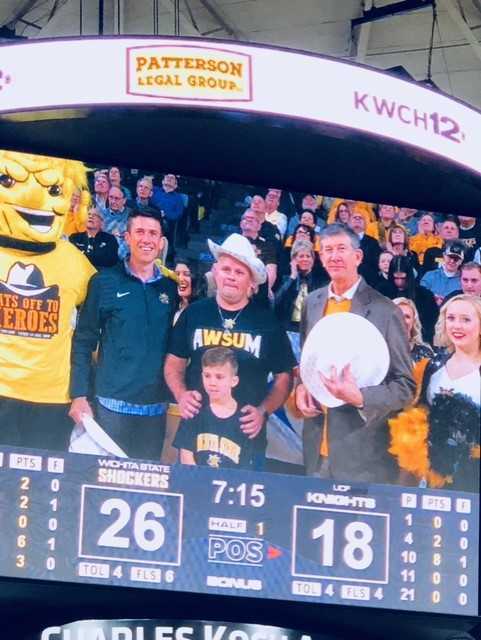 A motivator at heart, Dean participates in runs throughout Wichita helping runners get the inspiration they need to get across the finish line. For the past 9 years, Michelle has worked as a Victim Assistance Unit Coordinator helping domestic violence, homicide, and many other victims get through unimaginable trauma. Michelle has participated in countless events to raise awareness about domestic violence. From setting up booths and tables at the “Purple Mile Awareness Walk” to hosting speaking events to discuss the importance of domestic violence awareness, Michelle continuously serves this community. Lieutenant Colonel Kevin Rainey has proudly served his country for over 20 years in the Air Force. After graduating from the Air Force Academy in 1992, Kevin piloted the aerial refueling craft KC135. He strives to develop leaders within his squadron by counseling airmen in ways specific to each. Kevin continually provides support and guidance so his airmen can develop unique talents, stretch their thinking, and gain experience that will further their own careers. As a mentor and experienced pilot, Kevin puts the safety of his crew and family first. Chris Blake served in both the Marines and Navy totaling nearly 15 years of active service which includes a deployment in Operation Iraqi Freedom. As a corpsman in the Navy, Chris helped others in the field of battle. 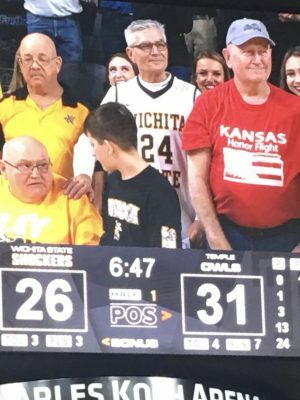 Now, he’s helping those in the Wichita community. For over 7 years, Chris has been a Mental Health Protection Officer at Via Christi Behavioral Health Hospital. Chris ensures that all patients and staff are kept safe during any difficult procedures that might arise. Chris treats each and every person with the dignity and respect and continuously puts others before himself. Chief Petty Officer Courtney Maurer has actively served in the US Navy for 14 years with 2 tours to the Persian Gulf and a 6-month deployment in Kuwait. 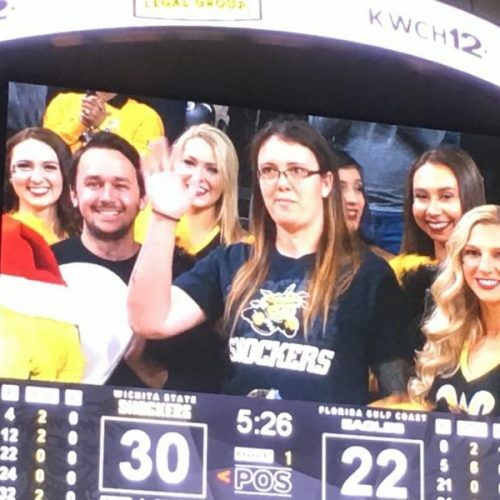 Upon returning home to Wichita, Courtney continued to serve in the US Navy reserves and frequently help others at the VA Center. Now a full-time employee at the VA center, Courtney is working towards a Bachelor’s Degree in Psychology. From caring for those in need to raising two young girls, Courtney puts other before herself every chance she gets. Aaron Plume is a 12-year Navy veteran who proudly served his country during the Persian Gulf War. Aaron currently serves as the Veteran Employment Coordinator for all the Workforce Centers in Kansas. He guides 22 Veteran Employment Representatives in the 17 Workforce Centers that provide help to veterans with barriers to employment. Everyday Aaron helps his fellow veterans find opportunities outside the military. Aaron is dedicated to providing a better life for his comrades after their service and continues to make his community a better place. Dan is Vietnam veteran and displays daily what it means to be a hero to his family and fellow veterans. 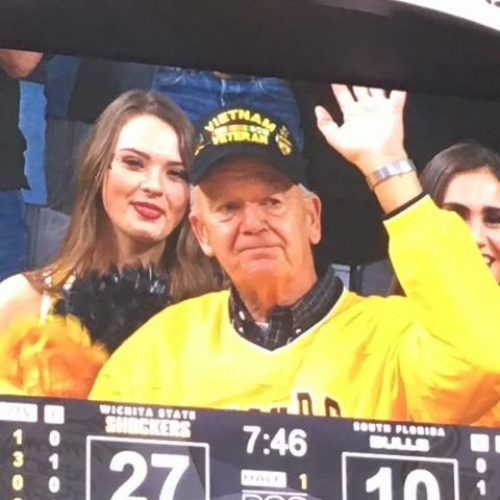 Dan actively donates his time and money to Kansas Honor Flights, a non-profit dedicated to flying veterans to their respective war memorials in Washington D.C. for free. Dan along with his wife Cheryl and daughter Robyn also host an event called Cruising for Kids, a charity event for donating toys to kids and showcasing your hot rod, which just launched for the 13th straight year. 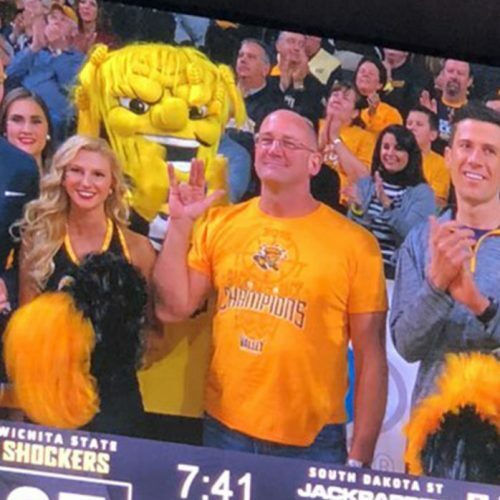 Whether he is helping those less fortunate in Wichita or giving back to the veteran community, Dan is a strong advocate for doing what is right and simply helping others. Conrad, like many others, stepped up to defend his country after the tragic events that took place on September 11, 2001. He joined the Marines straight out of high school serving 4 years of active service. 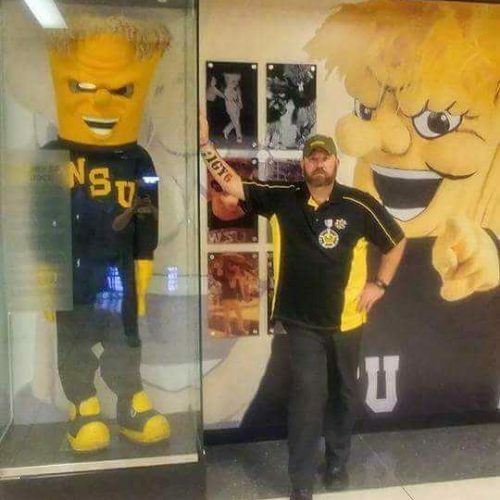 After his active military service, Conrad transitioned to the reserves where he is still serving today, totaling 15 years of service to our country. Conrad’s sense of duty has never wavered. Over his 15 years of service, he has completed 4 tours of duty; 2 in Iraq and 2 in Afghanistan. 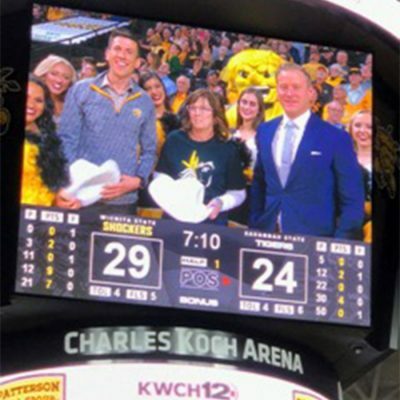 Back home, Conrad obtained a Mechanical Engineering degree from Wichita State University and is now employed at Koch Industries. Conrad and his family’s sacrifice to county and community is truly honorable. Shane, a Wichita native, has served in the Air Force for over 14 years. With multiple deployments during Operation Enduring Freedom, Iraqi Freedom, and Inherent Resolve, Shane consistently has stepped up to answer the call. 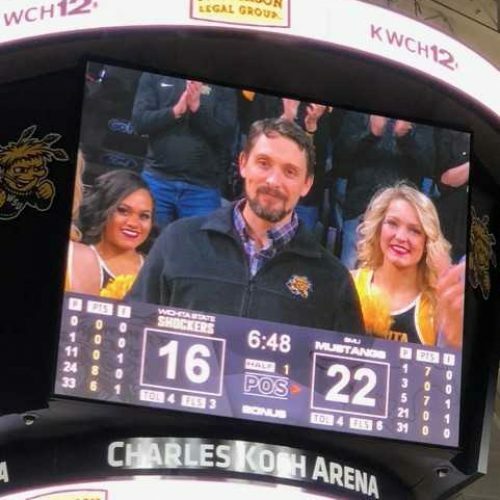 While Shane has been in the Air Force Reserves for the past 10 years, he has served as a Hydraulic Systems Mechanic with the 931st Air Refueling Wing on the KC-135 Stratotanker as well as a Reactive Services Manager for Choose Networks. Recently, Shane was deployed to Turkey for 4 months. During his deployment, he made himself available to clients and technicians to assure that everyone was taken care of. Shane’s dedication to country and duty is extremely admirable and deserving of the highest honors. 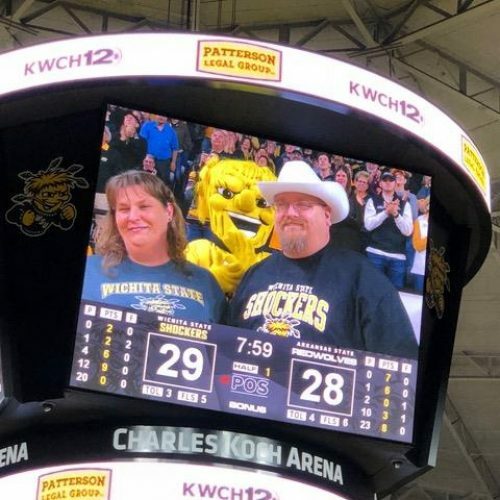 Officer Arterburn is a 25-year Wichita Police Department veteran officer who has been through it all. Early in February of 2017, Officer Arterburn was assisting in the investigation of a stolen vehicle in Wichita. The suspect took off, hitting Officer Arterburn with the stolen vehicle while he was attempting to lay down spike strips. Since the near-fatal accident, Officer Arterburn has been in recovery centers in Colorado and Texas. With his wife Claudale by his side, Brian has been on the road to recovery. 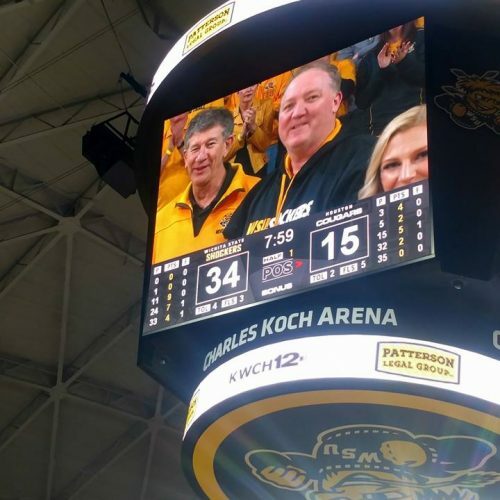 From his years keeping our city safe with the Wichita Police Department to the strength and dedication to push through the challenges of rehabilitation, Brian showcased his love for family and community. Patty Beamer is a member of the WSU educational faculty in the School of Nursing. Along with molding the minds of students, Patty dedicated over 21 years of her life to our country. With 4 years in the Air Force and 18 in the Navy, Patty participated in Operation Iraqi Freedom before retiring with 3 Navy and Marine Corps Achievement Medals and 2 Commendation Medals. After her military service, Patty received her Masters of Science in Nursing and is currently pursuing a PhD in Nursing Education and Administration. 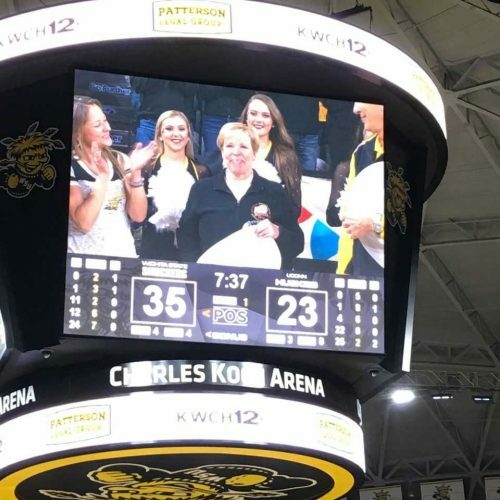 From helping her students achieve their dreams of becoming nurses to serving her country for over 20 years, Patty is always the first to lend a helping hand. These men answered the call when their nation needed them. From service in the Marine Corps to the Navy, these men put their lives and families on hold while they traveled across the globe to fight for an unpopular cause in the eyes of many Americans. When returning home from Vietnam, these men were not greeted with parades or honors. Instead many of them had to hide their military service to avoid being cursed at and threatened. Today, we want to thank you for your service and for heeding the call and persevering each and every day. We thank you for the dedication to our nation and to your families. 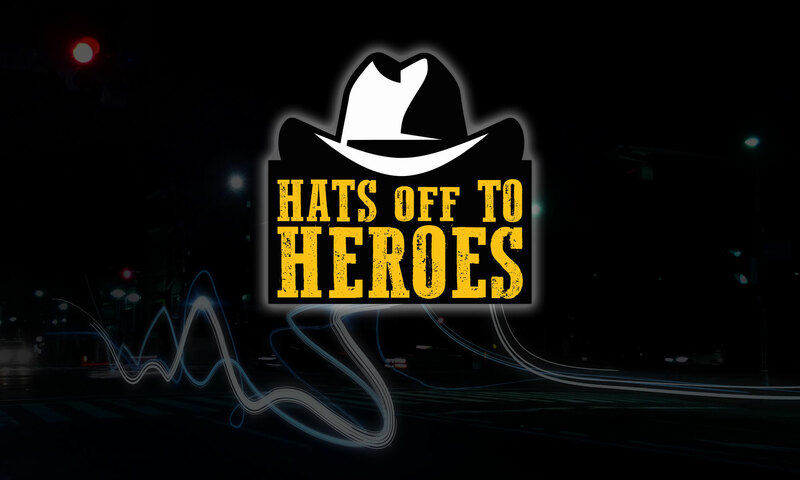 *Thank you to Mike Carney and Choose Networks for providing these heroes with tickets to the game! 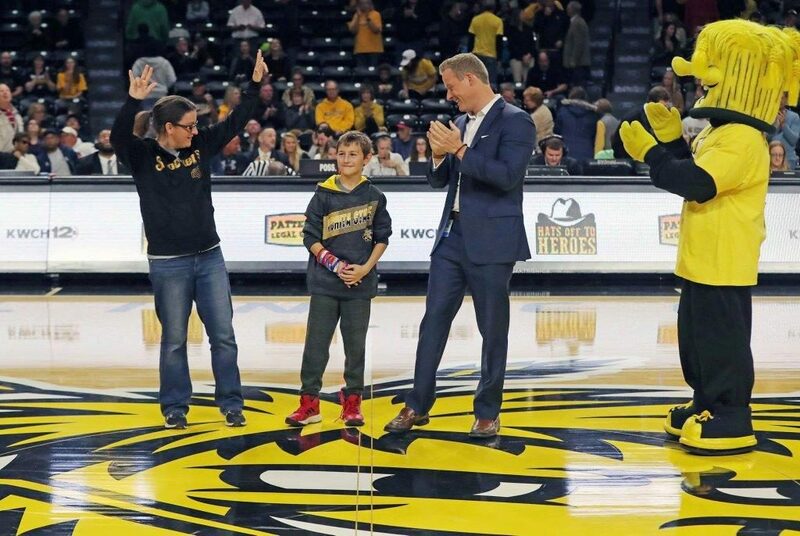 Megan serves as the School Certifying Official for the Student Veterans Organization at Wichita State University. Every day, Megan assists student-veterans who are looking for higher education, transition out of the military and back into civilian life. She is the go-to person within the SVO for any student-veterans attempting to apply for the GI Bill, needing assistance with classes, or having trouble adjusting to college life. 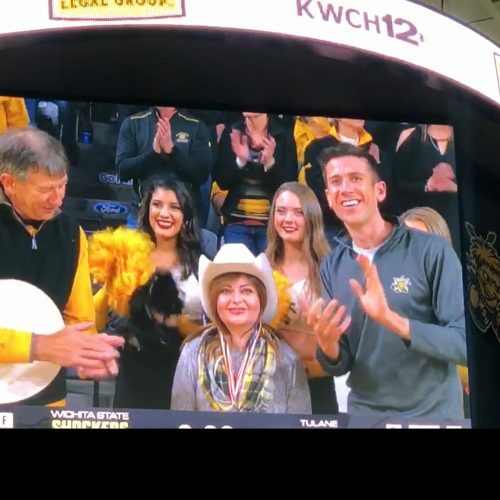 Megan continues to help student-veterans from the first time they step on Wichita State’s campus until they walk across the stage at Charles Koch Arena during graduation. All four of our heroes served during WWII in either the Pacific or European theatre. 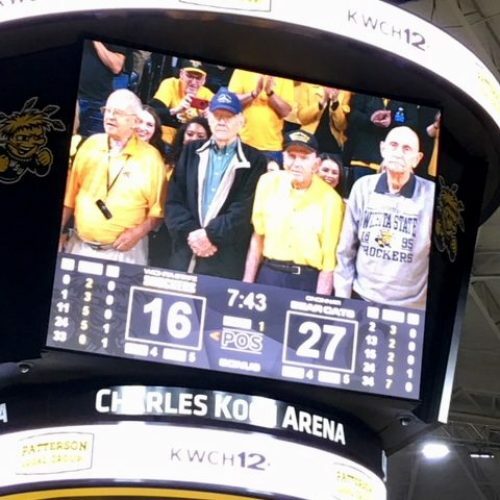 From parachuting on D-Day behind enemy lines to serving on Naval destroyers in Tokyo as the peace treaty was signed, these men lived through some of the toughest days in American history. Each man received numerous medals, commendations, and honors for their bravery, courage, and poise in battle. Not once did they fight for personal glory, but instead for family, friends, and a nation that needed their help.